Parmars shoes appointed Palamedes PR on account of its proven track record in securing big-impact media coverage for its award-winning consumer PR campaigns. It was approaching Christmas and the brand was looking for nationwide/international exposure. Our work variously consisted of generating product placements in key glossy (fashion and lifestyle) magazines and websites, and celebrity ambassadorships. 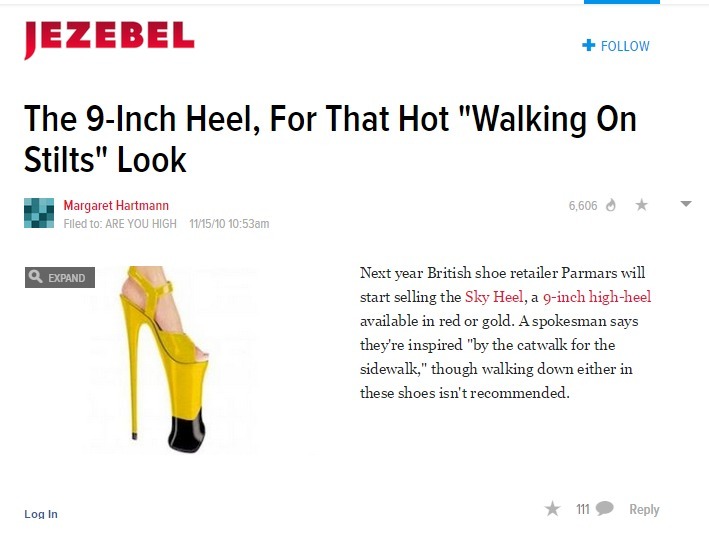 But the lion’s share of media exposure was obtained by breaking the story of the ‘Nine Inch Heel’ – the world’s highest platform shoe. The ‘Sky Heel’ measured an incredible 22.5cm – a height so extreme that few footwear manufacturers would dare to make them. Exposure was obtained in more than 100 outlets worldwide including dozens of fashion websites, footwear/industry sites, and blogs. Our work variously resulted in interview offers from RTL, one of Europe’s leading networks, NBC (USA), The National Enquirer and Daybreak with Christine Bleakley. Additional coverage included The Mail Online, Daily Mail print, Cocoperez (Perez Hilton’s fashion blog), The Sun, The independent, Celebrify, Ghana Nation,The Cork News (Ireland), New York Daily News, Times of India (print and online) Examiner, Irish Independent, More Magazine, Stylebrity, Jezebel and countless more that we’ve forgotten. 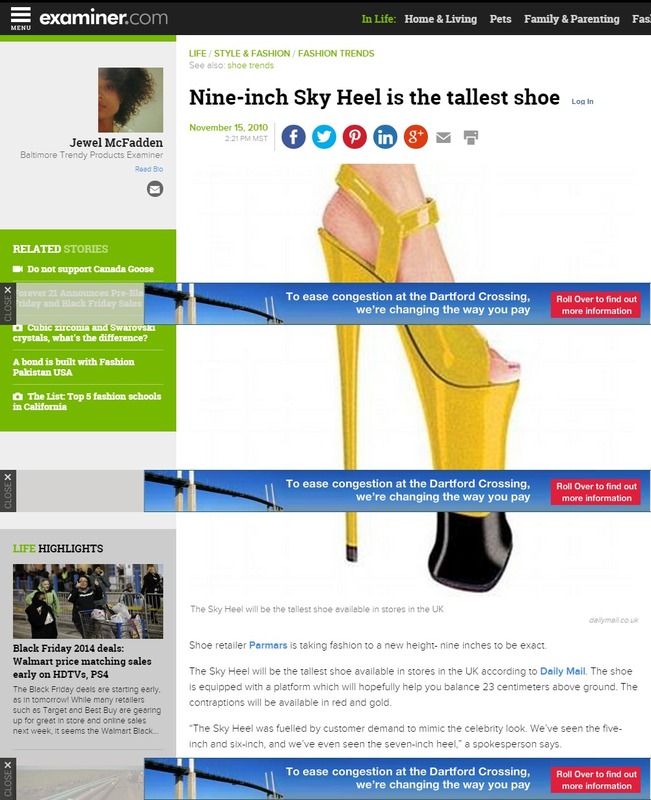 Our client said the ‘Sky Heel’ campaign was a “little slice of genius”. 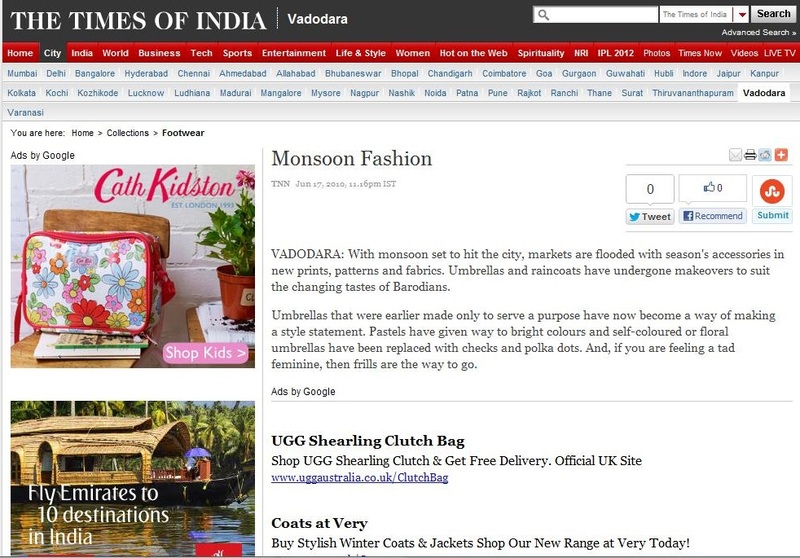 This project-based consumer PR campaign generated substantial volumes of positive media coverage for Parmars shoes, resulting in significant ROI/AVE. National media coverage was obtained within seven days of appointment. A great consumer PR campaign for a great brand.